The multipart saga set in a lush prehistoric valley continues. 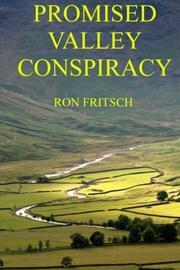 The third volume in Fritsch’s Promised Valley series (Promised Valley War, 2012) explores the ongoing conflict between the valley people, who are prosperous farmers occupying all the richest Promised Valley lands, and the hill people, who inhabit the sparser uplands and live bitterly, believing that their gods promised the valley and its comforts to them. Since the valley people have a similar belief about themselves, a state of dangerous friction exists between the two groups. Savage warfare and desperate diplomacy marked the well-orchestrated events of the first two books, and tensions continue to boil to the surface in this volume. Blue Sky, a stalwart valley person (and one of the most memorable characters of the entire series) says at one point, “Fighting in a war is the most disgusting thing a person can do. People in their right mind can’t do it.” Nevertheless, plenty of such fighting threatens the fragile peace in this latest volume, in which the enemies trade numerous hostages in an effort by both sides to stop the cycle of distrust and bloodshed. And although there’s war, there’s also tolerance: As with the previous two books, the author presents us with a prehistoric society that places no stigma on being gay—key male characters have not only wives or intended wives but male lovers as well. The author attempts to make the various plotlines accessible to new readers, but the books lose some dramatic heft if not read in order. Still, the narrative impact is vividly realized in any case: These books continue to be an intelligent and involving look at the personal sacrifices of making war and keeping peace. Another well-done excursion into Jean Auel territory.